German bass player born 1941; died May 21, 2009. Uli Trepte started his musical career 1966 as bass player and founding member of both the Irene Schweizer Trio (free-jazz) and the free-rock trio Guru Guru. Around that time he also played with jazz musicians like Yusef Lateef, Gato Barbieri, Barney Wilen, Mal Waldron and John Mclaughlin. 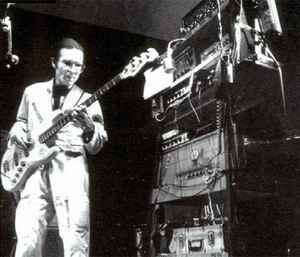 After that he recorded with other Krautrock / progressive rock bands like Neu!, Faust, Kickbit Information and led his own group Spacebox between 1975-84. From 1985 onwards he lived and worked as a multimedia artist in Berlin. But I don't have the full info on-hand.